The Consumer Electronics Show (CES) in Las Vegas is one of the largest gatherings of innovators from around the world exhibiting new technologies and gadgets. Over 188,000 attendees attempted to see over 4,500 exhibits! No, I didn’t go — I don’t own enough shoe leather. I bring this up because CES is a great way to learn about incredible tech trends that not only have the ability to change lives but also save them. It turns out that there is a growing number of exhibitor booths relating to the senior and caregiving industries. This week I cover a few of the most interesting “healthy gadgets” including a device that tells you when it’s time to pee, an airbag for your hips, and an AI controlled hearing aid. Ultrasound Sensor Tells You When to Pee! I’d expect tons of wearables at CES to monitor heart rate and have sensors for all kinds of self-analysis, but this one stood out from the crowd! 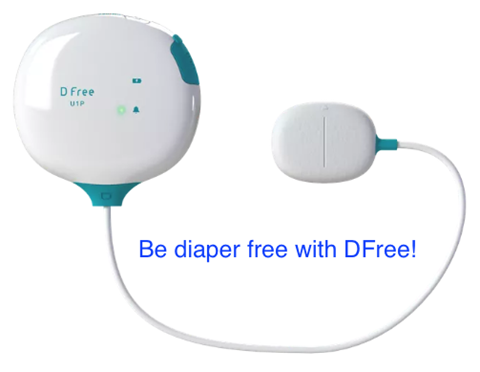 DFree stands for “diaper free,” and it’s meant to help adults suffering from incontinence. Good News: Getting old may not be that bad in the future as long as it beeps loud enough! 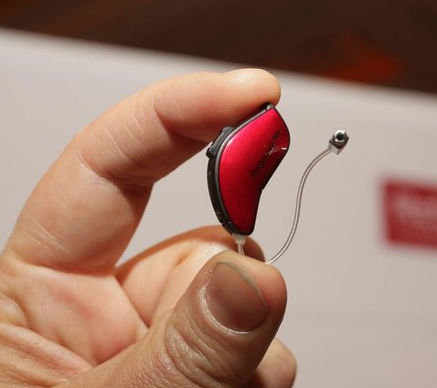 “Hey Siri, stream iTunes through my hearing aid.” Better yet, “Hey Siri, how full is my bladder?” That’s what you can do with the ReSound Linx Quattro, the first smart hearing aid to use AI to pair with Apple’s Siri assistant. Good News: Pricing on these very sophisticated digital hearing aids is coming down, and they are rechargeable — no more batteries! Hip injuries can be deadly, and it takes nothing more than a simple fall to break our fragile hips in old age. Hip’Air to the rescue — an airbag for your saddlebags! It looks like a fanny pack but is filled with sensors, electronics, a battery, airbags, and an air cartridge. The system analyzes your motion, detects when you are falling within 0.2 seconds, and then inflates both airbags just above the hips. The hips are fully protected before you even hit the ground. Good News: The Hip’Air is available now. It has a battery life of a week and is designed to be reusable. Besides death and taxes, most of us can count on needing assistive technology if we live long enough. Fortunately, assistive devices like these are available now and will enable the elderly (who can afford them) to live a longer, safer life. Let’s hope the price is more affordable by the time we need them! Share The GOOD NEWSletter by forwarding this with your friends. They can SUBSCRIBE HERE.